Barcelona is a major city, a very popular destination among tourists. 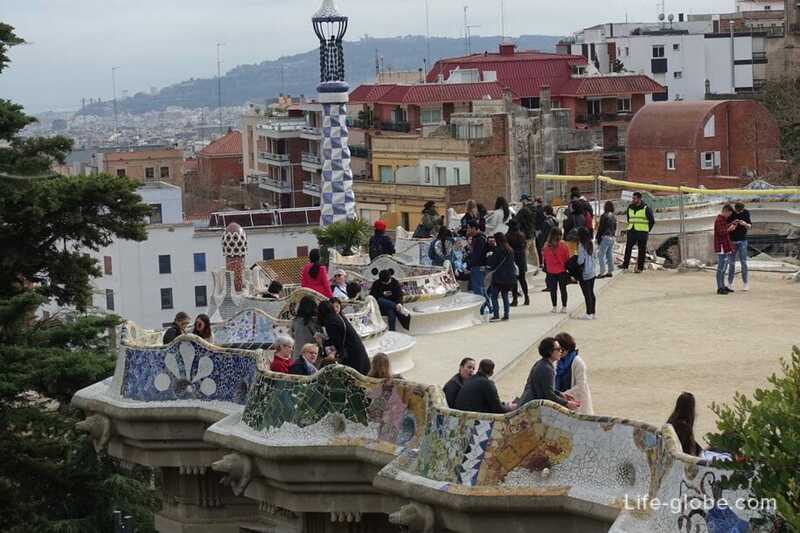 In Barcelona, everyone will find something to do, there are lots of great architectural and historical landmarks. Besides, in the city there are 10 beaches, some of which are located near the historic center, whereas the other half at a more remote distance from the main attractions. 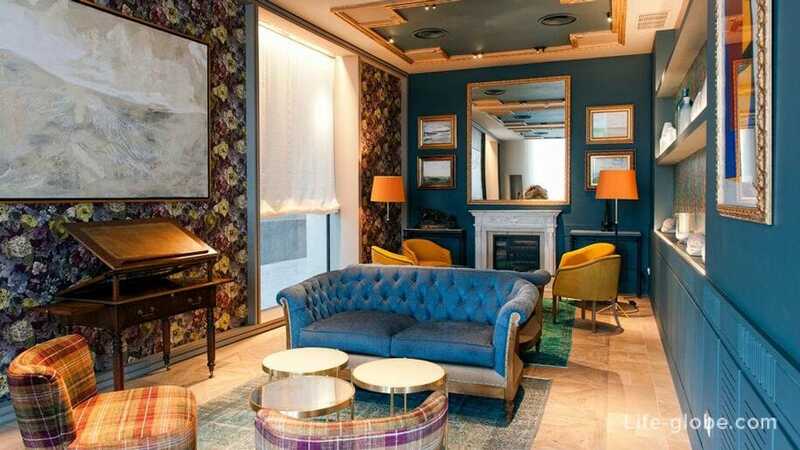 The choice of hotels in Barcelona is very large, everyone can pick up a tool placement based on the preferences and financial capabilities, ranging from first-class hotels, ending budget apartments, which will be equipped with a full kitchen. The opportunity to prepare their own food may become highly relevant for those who, for one reason or another can not always eat in cafes and restaurants, families with young children and just budget travelers. All the major and most visited sights of Barcelona is located very conveniently - in the heart of the historical city centre and walking distance from each other. 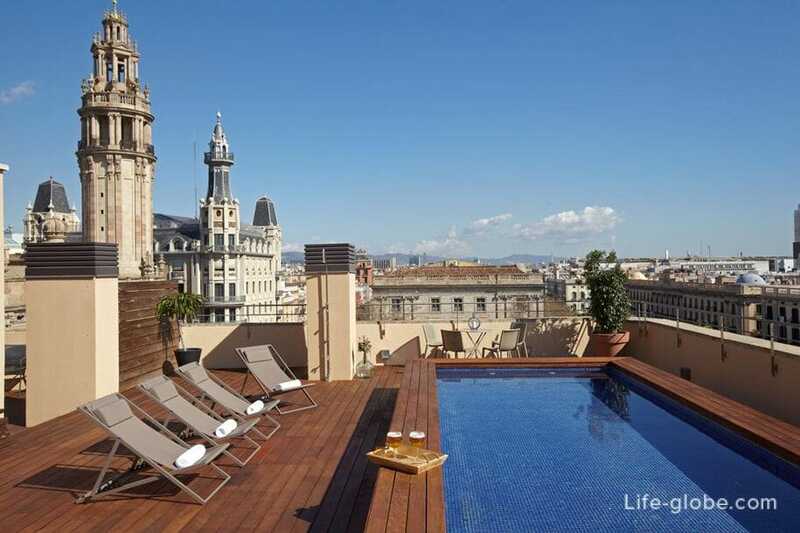 So, if your main aim in Barcelona is a visit to the attractions, the best place for choice of hotel is of the old city. So in walking distance of such attractions as the old town itself with its Gothic quarter and Cathedral of the Holy cross and Saint Eulalia; Casa Batlló; the famous promenade La Rambla; Ciutadella Park and the zoo; the old port; and the Boqueria market and supermarkets. And at a distance of 2.6 km will be the Montjuic mountain with the fortress. Reference point can be the Ramblas and the Plaza Catalunya, which comes most buses from Barcelona airport. The district of Gràcia is one of the districts of Barcelona, located to the North (above) the old town. Within the area is the Park Guell. Also near the area are: La Sagrada Familia, Casa Milà and Tibidabo funicular (Funicular del Tibidabo), which will take you straight to the top of the Tibidabo hill, where the temple of the sacred Heart and an amusement Park. The district Sants-Montjuic is a district located in the southern part of Barcelona, to the West of the old city and near the commercial port of Barcelona. 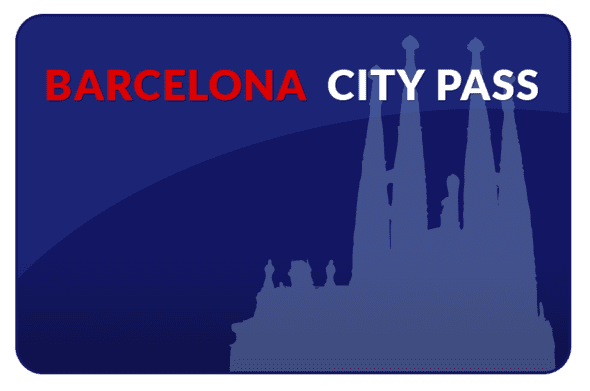 Within the area is attractions such as Castell de Montjuïc, a fountain of Montjuic, Poble Espanyol, national Museum of art of Catalunya, the Olympic stadium, the Palace of Sant Jordi, the Botanical garden of Barcelona and Gardens Mossen Costa and I Llobera. 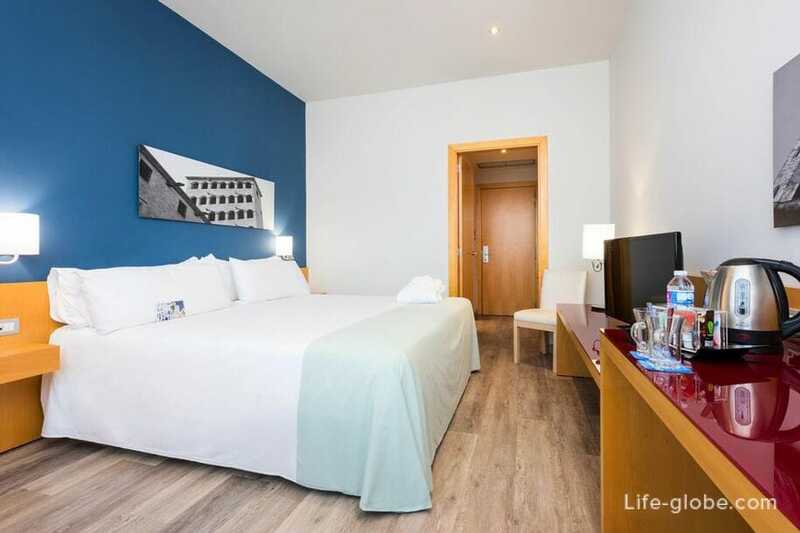 Accommodation near Barcelona's old port (port Vell) is a great choice for those who come for the sights but also want to walk along the quays, near the sea and visit the beaches. The old port is at the beginning of the Rambla, the Placa Portal de la pau where the monument of Columbus and the small station (tour agencies), which offers tourist catamarans boat trips around the harbour area and beyond. In the port: space for walking and recreation; the picturesque harbour promenade; yacht Marina; cafes and restaurants; shopping center "Maremagnum", the Barcelona aquarium and history Museum of Catalunya. 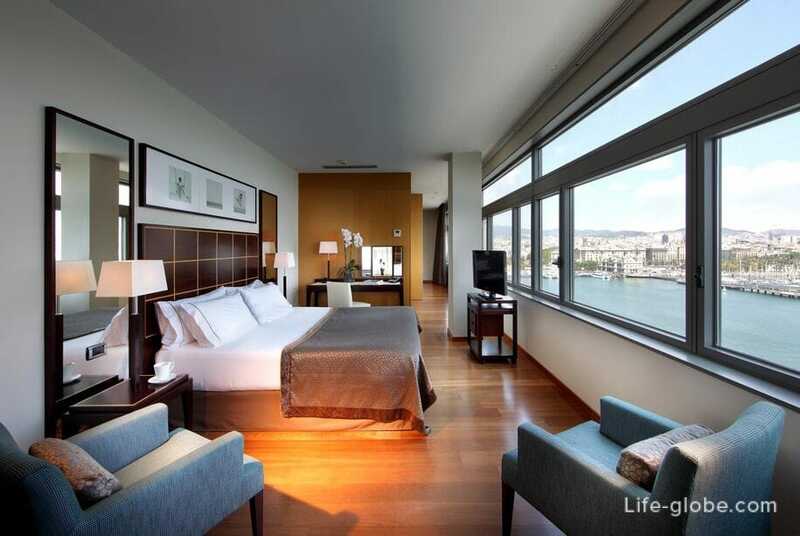 If you fit this part of Barcelona, the accommodation will be hotels and apartments located in and near the port itself. 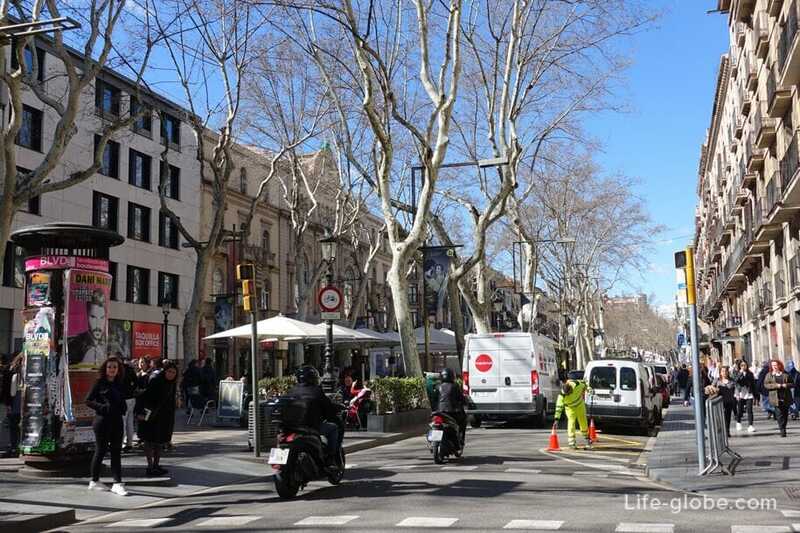 Reference point can be the beginning of the Rambla and Columbus Avenue (Passeig de Colom). Barcelona's beaches stretch along the coast starting from the Eastern side of the old port. The first 4 beach stretches for 2.8 km from the port and ending near the pier Olympic. 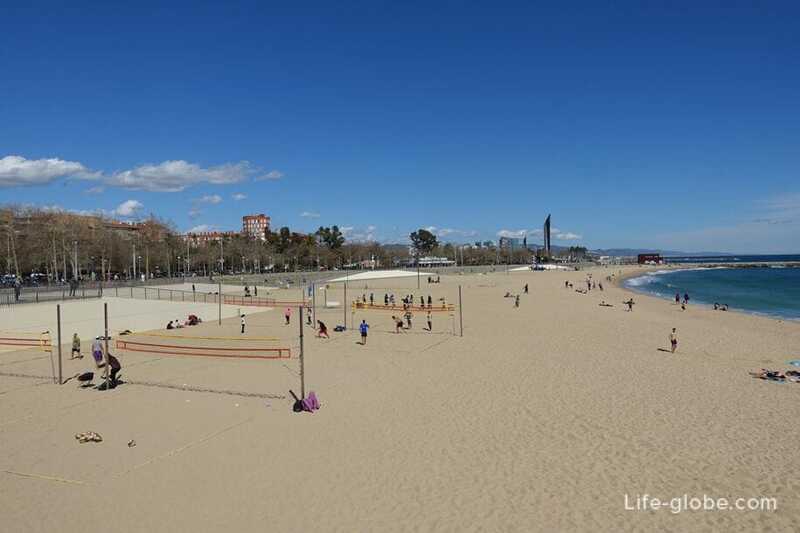 These beaches are considered to be the oldest in Barcelona, they are also the most visited and crowded. 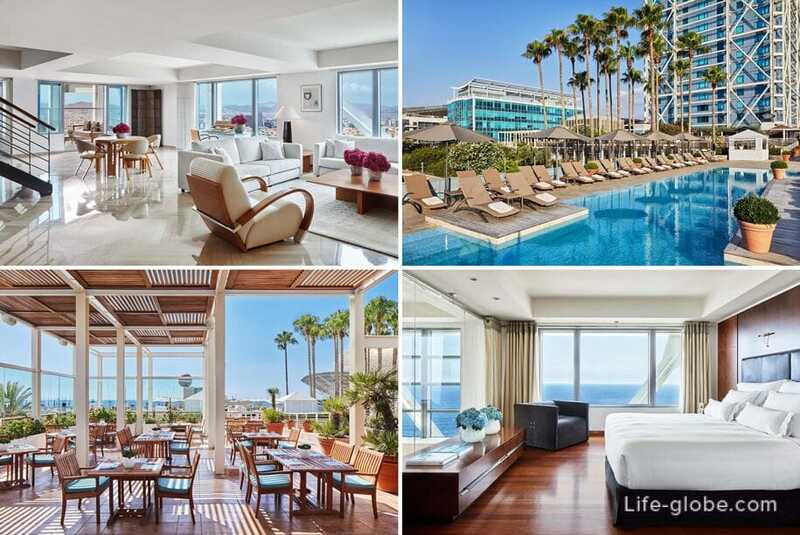 All along the beaches, promenade (the promenade) with an abundance of cafes and restaurants. This part of the coast together with the adjoining area is called Barceloneta. 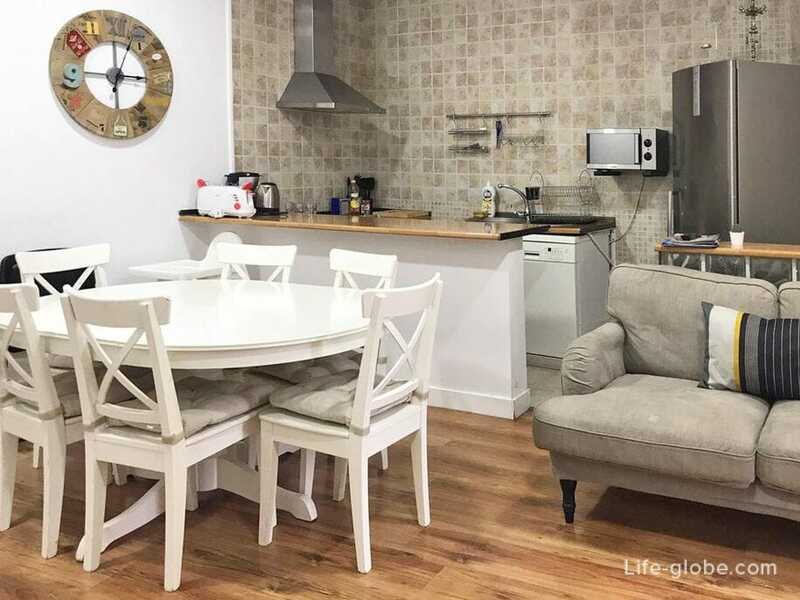 District of Barceloneta near Barcelona's Gothic quarter and can be an excellent option for those who want to combine a beach holiday (or even not in season, just to live, enjoying the sea and the possibility of frequent walks along the quays) with the attractions. The distance from the center of the Barceloneta to the Columbus monument is 1.9 km away, the Boqueria market is 2.2 km away and Plaza Catalunya square is 2.5 km away. 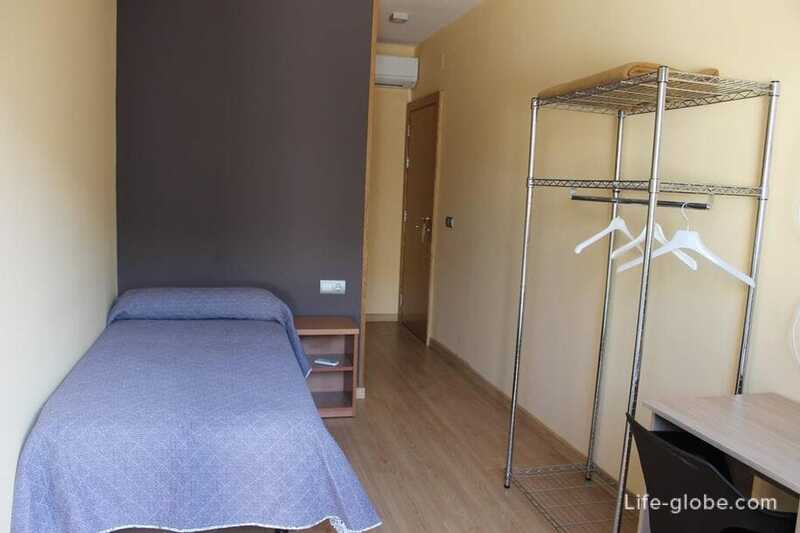 In Barceloneta you can choose the hotels or apartments located on the first line near the beach and the sea, and a little distant, but still a short walk from the seafront. 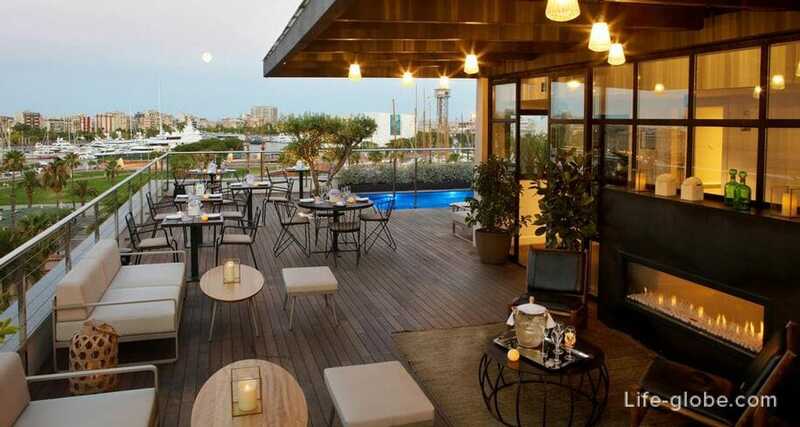 The modern 5-star hotel Pullman Barcelona Skipper and the design hotel Arts Barcelona, located on the waterfront, near the youth Barceloneta beach - Somorrostro and the Olympic port. Near the hotel is the casino Barcelona, and the nightlife and the promenade. 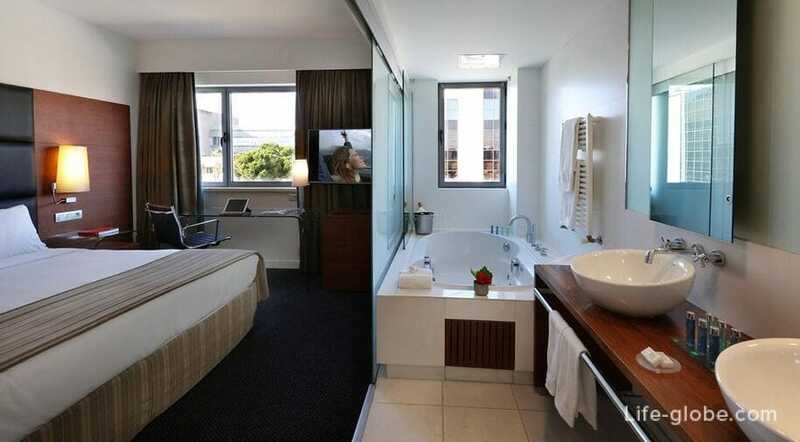 This category of hotels will suit those who come to Barcelona mainly for a beach vacation and want to enjoy a more tranquil and clean beaches than those located near the historic part of Barcelona. These beaches are more remote from sites, at a distance of approximately 3,5 - 4 km from the start of La Rambla. But, nevertheless, to walk along the quays, all the same really. 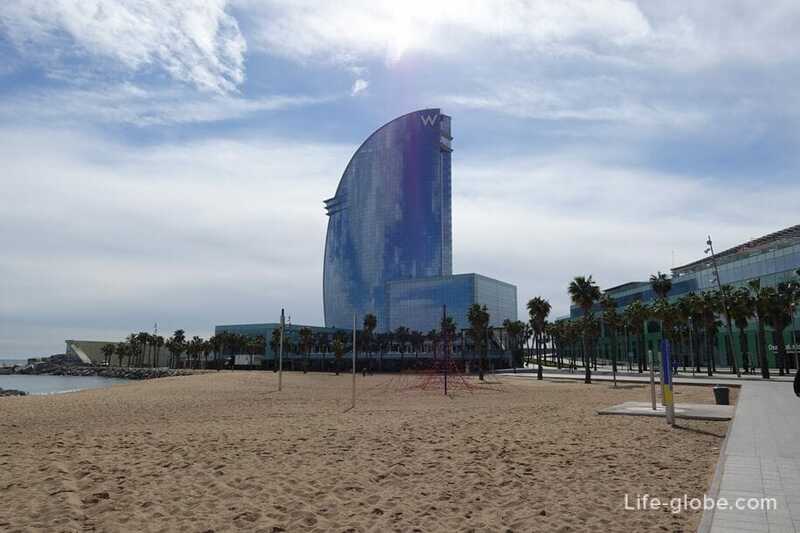 Moreover, the embankments of Barcelona, stretching in a continuous band along all the beaches. 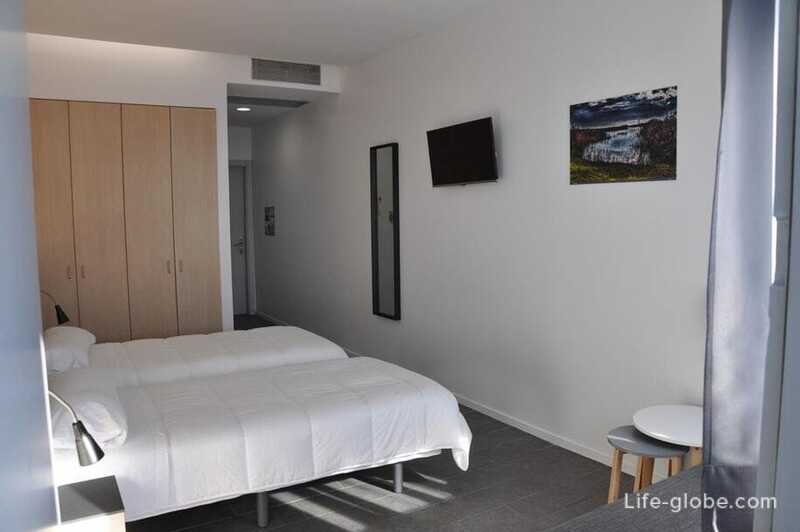 Accommodation facilities in this area are located along the beaches that originate outside the port of Olimpic and stretching to the extreme Eastern point of the coast of Barcelona. Here, wide sandy beaches, well-equipped with all the necessary infrastructure: from sun beds and sun umbrellas, to sports and children's playgrounds. And the Mar Bella beach, a dedicated nudist area. International airport El Prat is located at a distance of 12.5 kilometers from the historic center of Barcelona and at the distance of 16 kilometers from the beaches of Barcelona. 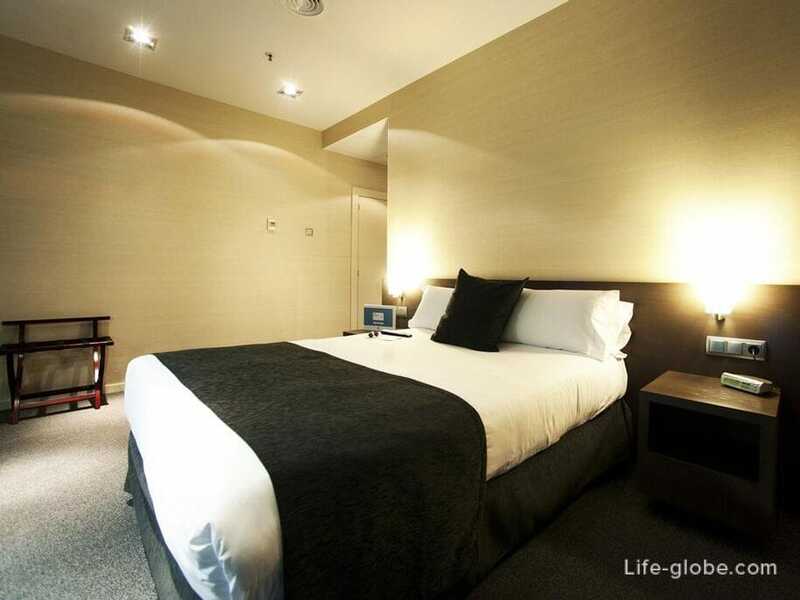 So, accommodation near airport suitable only for those who need to stay overnight the day of arrival and departure close to the airport. 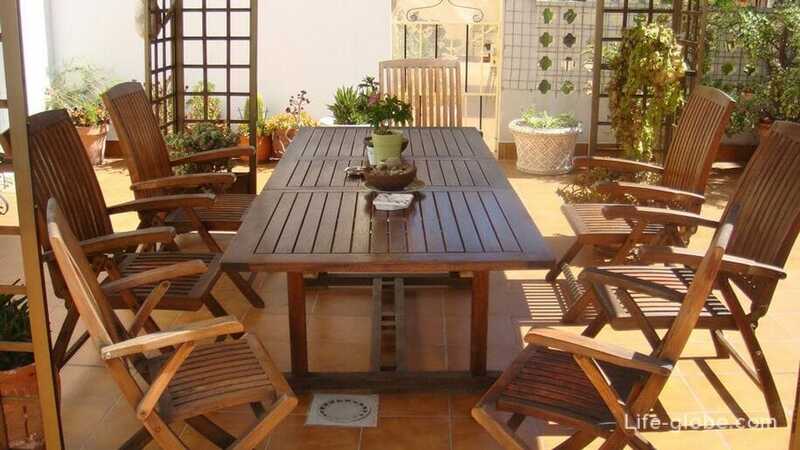 However, the airport is at a distance of 6 kilometers from the sea and the nearest beach, in El Prat de Llobregat. So here, if you want, you can spend a few days. To get from Barcelona airport to Barcelona city center is possible by public transport and by taxi/Shuttle. To get from the airport to the center, the easiest and quickest way is by taxi. Book a taxi/Shuttle service in advance, even from home. At any time of the day, at the airport, you will meet your driver with a sign, which will be written your name and surname. For taxi is enough to tell us your flight details!